The year 2018 has been a steady one for Pakistan’s fortunes in Test cricket. Granted that they have only played 3 Tests this year, it is the comparison with the latter part of 2017 where they were whitewashed by Sri Lanka in the UAE which probably puts a smile on the faces of Sarfaraz Ahmed and Mickey Arthur. But, as they would be the first to admit, tougher and bigger challenges lie ahead with some very testing series against the likes of Australia, New Zealand and South Africa. Pakistan’s next Test assignment is against Australia in the UAE where they will lock horns with Tim Paine’s side in a short 2-match series, starting on the 7th of October in Dubai. The unfortunate events that transpired during Australia’s tour of South Africa have resulted in two of their main players, Steve Smith and David Warner, to be excluded from the touring party. However, despite the absence of some key personnel, there is enough talent in the visiting Australia side which Pakistan will only underestimate at their peril. Whilst the home-side's bowling resources are well served by the likes of Yasir Shah, Shadab Khan and Wahab Riaz, the eyes of the cricket world will be focused on how the Pakistan batting line-up will cope with the firepower on offer from Australia. One of the mainstays of Pakistan's batting is the 32-year-old Asad Shafiq who along with Azhar Ali and Babar Azam will look to blunt the opposition bowlers and provide the sort of platform that the bowlers can use to their advantage in the upcoming series. The departure of two of Pakistan’s veterans, Misbah-ul-Haq and Younis Khan, seemed to have left a vacuum which the likes of Asad Shafiq are expected to fill. This sort of expectation can cause unnecessary pressure but as Asad Shafiq explained, he and his colleagues will take that as a challenge to meet head on. Test cricket may have its charm but it's no secret that the shorter forms of cricket are currently considered very popular around the world. The recently concluded edition of the Asia Cup was played in front of big crowds, but it was Pakistan’s misfortune that they were unable to find a place in the final. The inability for the Champions Trophy winners to win the Asia Cup in the UAE had a sobering effect on the millions of Pakistan fans and could affect the morale of the Test squad preparing to play against Australia. However, to Asad Shafiq, the Asia Cup is now confined to the pages of history and Pakistan will be concentrating solely on the task ahead which is to preserve their successful record against the Australians, as he explained. The strength of Pakistan Test sides of the past and present has always revolved around their bowling attack, which in the UAE will depend on spin as their weapon of choice. In this regard, the presence of Yasir Shah who seems to be the king of spin in UAE conditions would give great comfort to Pakistan captain Sarfaraz Ahmed. The strength of the Australian spin attack is one that Asad and his teammates are acutely aware of as well but, as he explains, Pakistan batsmen are perfectly capable of dealing with this threat. Asad Shafiq’s reputation as a mainstay of Pakistan's batting is not built upon words alone. He has some solid international performances to his name with 5296 runs in 131 appearances for Pakistan and as he explained, his preparations for the upcoming Test series are more than satisfactory, even by his own stringent standards. To some critics, more was expected during the England tour from Pakistan’s main batsmen which is a view that Asad Shafiq agrees with when looking back at his own performances during that series. Despite missing some big names, it is clear that the visiting Australians will present a stern test of resolve for the home-side. 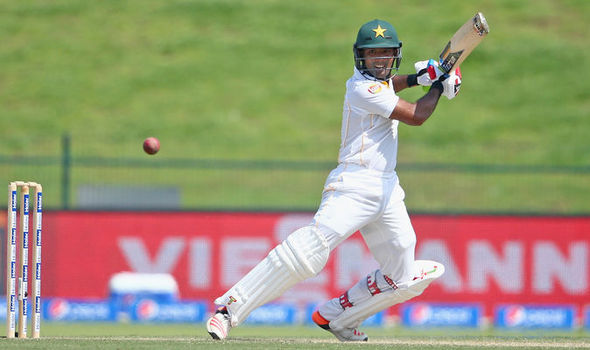 If the performances in the tour game against Pakistan A are any guide, Sarfaraz Ahmed’s men are in for a tough two Tests against Australia but Asad Shafiq is confident that his teammates have the capability to tackle any challenge thrown at them, “this Australia side has some world-class players in it and first and foremost, I would mention the name of the fast-bowler Mitchell Starc who is a handful on any surface and has troubled batsmen the world over. But amongst the spinners in this Australia side, there is no doubt that Nathan Lyon will pose a huge threat to our batsmen given the type of wickets we have in the UAE. Having said that, I am confident we have the batsmen who can handle any threat from Australia, which they will present to us in the upcoming series,” he concluded. Last edited by Abdullah719; 4th October 2018 at 16:01. Nice read. Nathan Lyon's performance would determine the Aussie fate in this series. Our batsmen would really hv to get their head down to counter the threat Lyon would pose which is not going to be easy by any stretch of the imagination. A mouth watering prospect awaits us none the less. Last edited by shaaik; 2nd October 2018 at 02:41. Well Australia have a good spin attack with Lyon in great form. Pakistan have always struggled against left-arm spin so Jon Holland may cause a few troubles. For me the difference will be how Yasir Shah goes. If he bowls well, Pakistan have a chance, if not they are going to struggle. I don't think Pakistan is winning with their pace attack in UAE. Yasir is returning from injury and he is crucial for Pakistan's chances. Says the guy who can't handle it himself. Last edited by Deewana Mastana; 2nd October 2018 at 13:26. Needs to score a big one to do be doing so. Australia will be determined to do well. Pakistan should not underestimate the lack of experience in their side as Nathan Lyon will pose a challenge and some of our batsmen may struggle against him. As an experienced player we need him to lead from the front especially when playing Lyon. This guy has always been all talk but when it comes to batting in the middle he all of a sudden goes all timid. His record is below the average player for a test bat from SENAI. if you can't average 40+ after 60 tests and about turn 33 then you're not going to get better. He should be discarded from tests ASAP no later than after the SA series. Really needs to get a good score to prove his point but at the moment, not scoring at all!